Carbondale firefighters put out a small but significant fire this afternoon just outside the Launchpad. KDNK’s Amy Hadden Marsh has more. 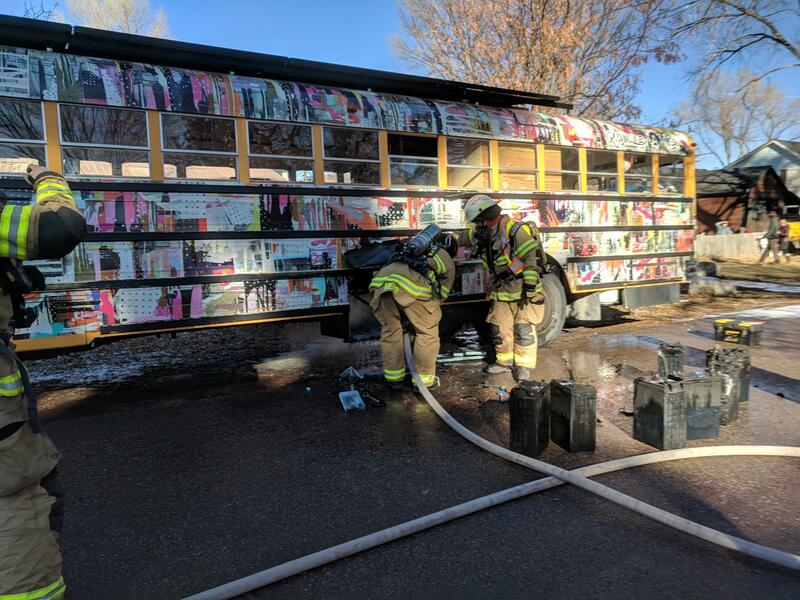 Carbondale firefighters douse a solar battery blaze underneath Rosybelle, the Carbondale Arts bus. All 8 batteries were burned.